Antoine Briand is a PhD Student at Université Paris-Nanterre, linked with the CSH to complete his doctoral dissertation under the title: Un-Identified Dead Bodies. Forms of Violence in the Mortuary Treatment of Unclaimed Dead Bodies in Delhi (North India). 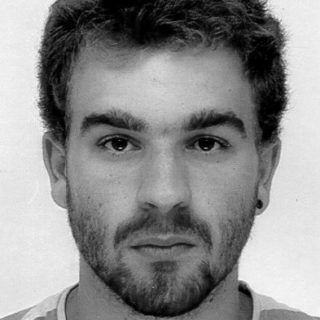 The topic of the thesis project of Antoine Briand is based on an analysis of the means that indian Police Services and Forensic Institutions implement in order to identify the corpses found on the streets of Delhi. In 2016, the Crime in India Statistics of the Nation Crime Record Bureau recorded 34,592 cases of unknown dead bodies found throughout the country in 2015. 3,063 of these cases took were conducted in Delhi only (9% from total). Antoine Briand’s thesis will analyze the types of mobilizations, commitments, attentions and reflections surrounding the issue with unknown bodies in the city. In an urban context, how do unclaimed bodies represent a specific mode of presence whose treatment involves a world of living? Mass treatment of corpses is treated as an anthropological theme in studies about war,genocides or migration (De León, 2015; Ritaine, 2015; Kobelinsky, 2016), where the bodies reappear in the political field like the expression of a crisis in the living’s world. Achille Mbembe(2006) defines this symbolic violence by the term ‘necropolitics’, a form of sovereign authority held by political institutions regarding the decision of each individual’s condition in the face of death.The appearance of an unclaimed body in Delhi doesn’t reflect a singular event but a social issue more diffuse. 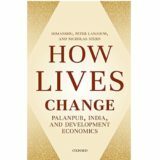 It is an ‘omnipresent spectrum’ (Kobelinsky, 2016: 8) of the management of poverty in India. The corpse finds a personal post-mortem identity. It is part of and also reveals forms of social and specific relations due to its condition and its biological state. The medical and biological condition of the dead body becomes a social state (Fassin, 1996), a ‘necrosociality’ (Kim, 2016).The treatment of death by the living reflects the state of agency of the person through the material and relational means that respond to its condition. Surface of blame, indifference or moral obligation: the mortuary treatment afford both a way to erase the presence of these dead –damnatio memoriae (Ritaine, 2015) – while making them emerge as a proof that indian identity is lived in different ways according to individuals and according to their condition of life and death.With an ethnographic study of Police Services, Forensic Departements and Delhi crematoria, Antoine Briand will analyze the role of unclaimed bodies in the death policies of the indian capital.By integrating police, medical and mortuary employees teams, a participant observation will enlighten the strategies deployed by these different institutions, the various professional categories that surround the death path of unidentified dead bodies, and the relationships they maintain between to one another in the identification process. Human-beings are unequal in the face of disease and death. And a strong link exists between the notions of social and economic status, health conditions and access to medical rights (Fassin,1996). This study will question the lived violence of social and economic inequalities in India by exploring its capacity to be translated through the experience of the phenomenon of death. A ‘necroviolence’ (De León, 2015) that transcends the states of life and death of living-beings who wander and die in indian streets. To grasp this particular form of mortality – unclaimed dead bodies– will question the emergence of a social and symbolic violence expressed by and during the post-mortem fate of these dead nāmālūm, literally ‘unknown’.